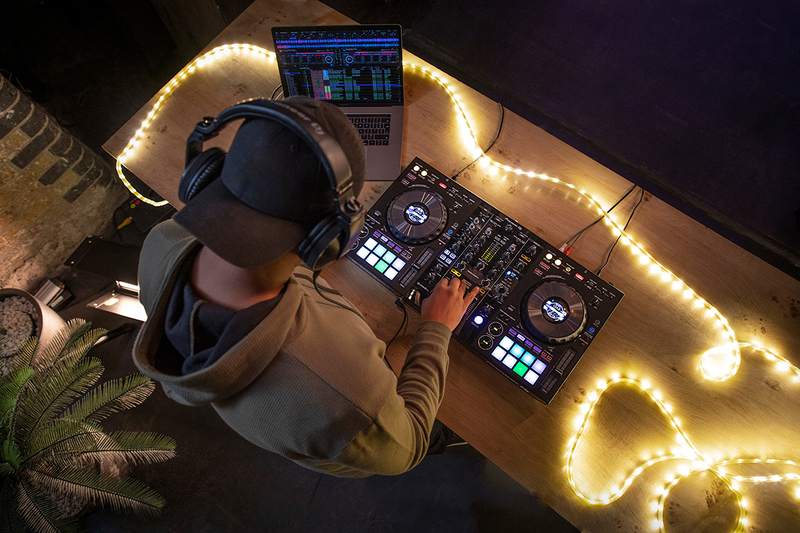 Take a pro setup wherever you go with the DDJ-800, a new compact 2-channel DJ performance controller for dedicated use with our professional performance application, rekordbox dj. The DDJ-800 is designed to help you get the most from the new features coming to the software with the release of rekordbox v5.5.0. Inheriting the layout design of the DDJ-1000 – which has earned a strong reputation with professional DJs who perform at weddings, parties, and events outside the club environment – the DDJ-800 packs a host of performance features into a lighter body. The DDJ-800 is the first piece of hardware compatible with the brand-new Feedback Reducer feature in rekordbox dj, which automatically lessens the “howling” sound of microphone feedback. The DJ controller also features Color On Jog Display, giving you all the information you need for professional performances right in the center of each jog wheel. Take the DDJ-800 wherever you want thanks to its portable design, which is smaller than the DDJ-1000 by 22% in volume and 1.3 kg in weight. The DDJ-800 is our first 2-channel controller to feature high-definition LCD screens showing information such as playback time, BPM, and waveforms in the center of each jog wheel. Cue Scope indicates the distance in bars from the current playback position to Hot Cue points and Loop points, enabling you to mix quickly and more accurately. You can choose to display full artwork on the displays, helping you instantly identify the track loaded on a deck by simply looking at the jog wheel. Pass the mic around with confidence. The DDJ-800 is the first controller that supports the new Feedback Reducer feature in rekordbox dj, which instantly detects the “howling” frequency of feedback and brings it down. Plus, two independent mic inputs give you greater flexibility when you’re juggling DJs, MCs, and guest speakers. Perform with the DDJ-800 as if you’re using our flagship setup. All the buttons, knobs, and faders on the controller are arranged and used in the same way as those on our club-standard CDJ-2000NXS2 and DJM-900NXS2 setup. Use Feeling Adjust to set the resistance on the jog wheels to your preferred weight for scratching and spice up your sets with the popular Sound Color FX and Beat FX from our DJM mixer series. You can instantly reference BPM and the name of the selected FX without looking at your PC/Mac thanks to the dedicated Beat FX display, making it easy to use the FX whenever inspiration strikes. 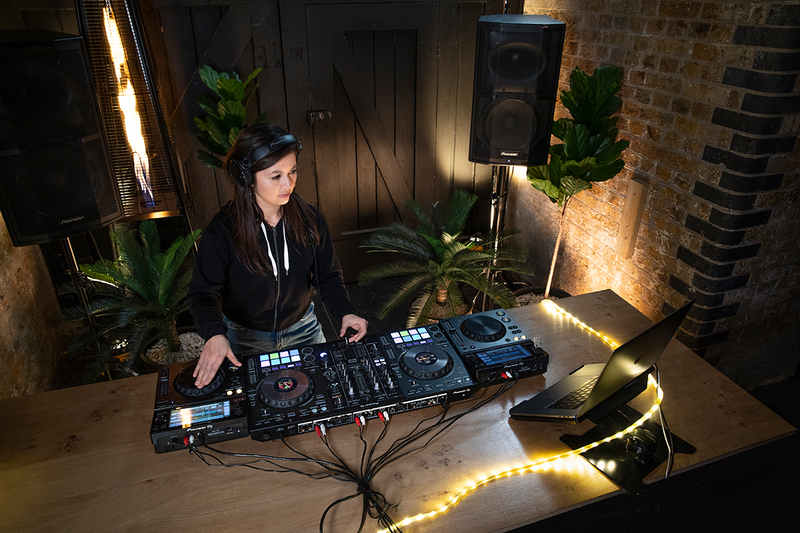 You can use the DDJ-800 as a mixer to control the volume of audio input from an external device – even when you’re using it on its own – by adjusting the trims, channel faders and EQs. And, when the controller is connected to rekordbox dj, you can use Sound Color FX and Beat FX too. Performance Pads – use the 16 tactile illuminated rubber pads (8 per deck) to trigger Hot Cues, Pad FX, Beat Jump, Sampler, Keyboard mode, and more. Advanced Super Fast Search – quickly reach any playback position. Dedicated buttons for Key Shift and Key Sync – take direct control of rekordbox dj key- related features. rekordbox dvs ready – connect multi players or turntables to control rekordbox dj. To help keep your DDJ-800 safe from bumps and scrapes on the road, the DJC-800 BAG will be available. 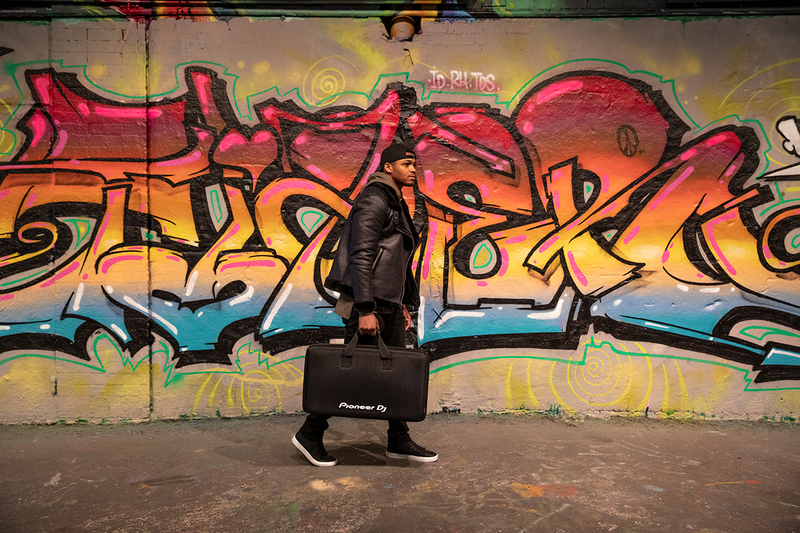 The DJ controller fits snugly into the custom-designed protective bag which features an EVA Durashock molded body, impact-resistant egg-foam, black ballistic polyester, and a soft, fleeced lining. To see our full range from Pioneer, click here.